Jeff Gifford is the leader of Dykema's Corporate Finance Practice Group. 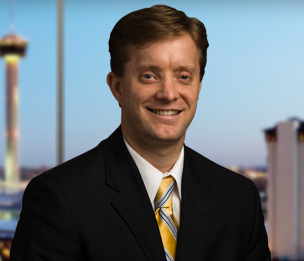 Mr. Gifford counsels clients on mergers and acquisitions, public and private securities transactions, domestic and international commercial transactions, specializing in heavily regulated industries, including the financial institutions and health care industries. He works closely with accountants, investment bankers and other professionals to address and handle the complex issues that characteristically arise in transactions. Jeff also advises publicly traded and privately held companies on organizational restructuring and corporate governance matters. He serves as the Co-leader of both the Firm's Mergers and Acquisitions subgroup and the Family Business Transition Team. Acquisition of asphalt operations and assets for $450 million plus inventory of approximately $370 million. Sale of one of the premiere global exterior and interior automotive rearview mirror manufacturers to a Canadian investment group for $320 million, plus the assumption of $95 million in debt. Representation of London Stock Exchange Company in an approximate $160 million stock and asset acquisition of the largest privately owned United States pest control business. Assisted one of the nation’s largest security services companies, publicly traded in the U.K., with a $75 million disposition of all of its U.S. security service entities to a U.S. publicly traded company, which allowed our U.K. client to focus its efforts on building a stronger base in its core U.S. business. Represented private health care software company in $62 million acquisition by private equity firm. Sale of an interior design, engineering, and maintenance service business valued over $30 million. Sale of $55 million worth of international well servicing rigs business. Sale of an aircraft engineering and finishing business specializing in VVIP and head-of-state aircraft interiors valued at $40 million. Sale of the largest IBM value-added reseller in the U.S. through a recapitalization transaction with a national private equity fund. Acquisition of $30 million international well servicing rigs business. Sale of $13 million historical work of art. Sale of a historical Boeing B-17G bomber and related assets valued at $4 million. Represented a pharmaceutical manufacturer in a $1.2 million manufacturing joint venture investment. Acquisition’s and Sales of Multiple State Banks and Branches throughout Texas. Facilitated the acquisition of a private market research, analysis and advertising company, by one of the leading publicly traded market research and advertising companies. Coordinated and directed a thin film disposition equipment manufacturer’s acquisition of a competing manufacturer located in Taiwan which strengthened our client’s strategic position in Asia allowing greater delivery capabilities to Asian markets. Helped our client to acquire two related Canadian private manufacturers of water heating systems and related products, providing our client with a better strategic position in Canadian and North American markets. Represented our client in a $216 million offering to the U.S. Department of Treasury to provide our client with additional capital to facilitate further lending and potential acquisitions of other financial institutions. Assisted our client with a $100 million shelf offering of its common stock providing our client with greater capital resources to expand its U.S. and European operations into Asian markets. Orchestrated a complex refinancing for an oil and gas development and production client that included a $125 million debt offering and subsequent exchange. Representation of a public company in connection with a $150 million shelf offering. Representation of a public company in connection with a $88 million follow-on public offering. Represented numerous health care, technology, manufacturing and financial institutions in raising private funds to further corporate objectives. Regularly assist several clients with their preparation and filing of SEC reports and related filings, including response letters to SEC comment letters. Drafted and negotiated software license and related professional service agreements with major computer software and information technology consulting companies for comprehensive ERP software suite affecting virtually every aspect of the client company. Represented numerous clients in various contractual arrangements involving companies doing business in Europe, Asia, South America, Africa and Australia. "M&A in 2017: Starting to Cool Off?" Some signs point to another year of strong activity, but others suggest it may soon be time to wrap up that deal you've been working on. "Is It Time to Pull the M&A Trigger?" Enthusiasm for deals is waning, suggesting that if you want to do one, it may be best to do it soon.